On January 26th Join the Rich and Famous for an Exciting night in Monte Carlo. 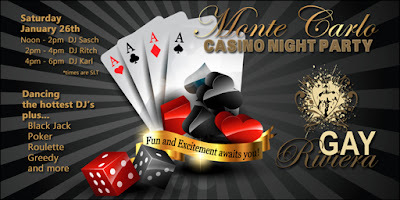 Fabulous shows and High rolling stakes await you at the Monte Carlo Casino!!!! The Fun starts at Noon with six hours of incredible music and Amazing Floor Show not to be missed!!! The Fun and Excitement await you!